DESCRIPTION NEW BLOWOUT PRICING! Welcome home to this BRAND NEW SHANE HOME paired home;The Arbor III.As you enter this lovely home,it boasts an open main floor design,foyer with handy coat closet,spacious front family room with large windows allowing for incredible natural lighting,central dining nook is open to the kitchen & family room,gracious U shaped kitchen with peninsula island, rear mudroom with coat closet and half bath.The upper level has a spacious front owner’s suite with walk-in closet and private 3 piece ensuite,2 equal sized bedrooms, 3 piece main bath with open linen closet separates the secondary bedrooms and owner’s suite, adding privacy and laundry closet. This paired home also includes a full sized double detatched garage and ample roadway parking. 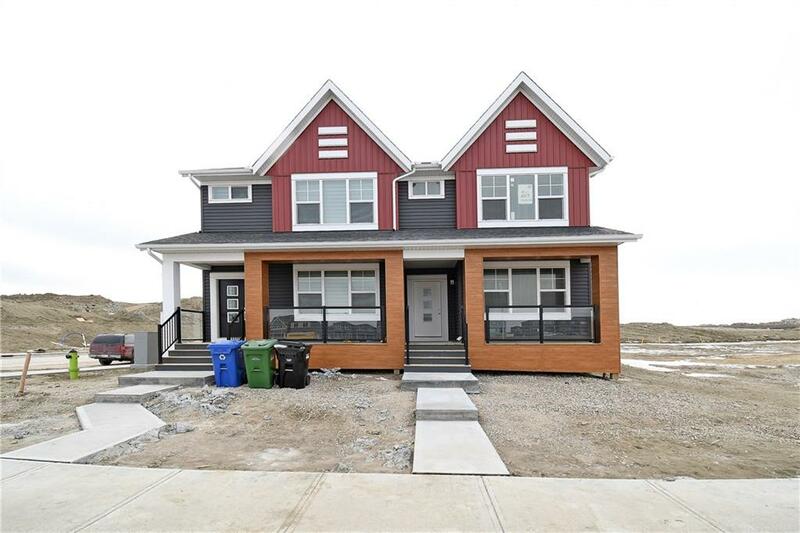 Complete with large front full veranda & all this in the family community of Cornerstone.Close to all amenities and major roadways.Price includes home,lot,GST,speced appliances,Builder & Alberta New Home Warranty program & lawyer closing costs. Home for sale at 683 Cornerstone WY Ne Calgary, Alberts T3N 1J6. Description: The home at 683 Cornerstone WY Ne Calgary, Alberta T3N 1J6 with the MLS® Number C4221351 is currently listed at $349,744.